You will find many uses for garden rue, but will be very pleased with the medicinal properties: from relaxing tea to wound healing compresses. Michelangelo and Leonardo da Vinci attributed their eyesight and inner creative vision to the use of garden rue. The branches of this plant have been used at high mass to sprinkle holy water and it has been used as an antiplague plant – ascribing powers to the herb of keeping one safe from plagues. It was used by robbers by rubbing it on themselves when they stripped plague victims of their clothes and other goods. The rue plant is the inspiration for the design of the suit of clubs in playing cards. These plants should be placed in an area of full sun, but will tolerate light shade, in a well-drained soil bed. The plant will survive alkaline soil that is suitable for the hardiest plants. Divide the plants in spring and take cuttings only in summer. The plant is slow to germinate, but patience will serve you well when you sow them in the spring. Thin these plants to about 18 inches apart, pruning them in late spring. Severe winter areas will harm the plants, so growing them indoors might be the best for your area if you suffer from harsh winter weather. The young leaves should be picked just before the flowers open; collect the seeds at the same time. The leaves and seeds can be dried for later use. The plant is sometimes grown as low hedges and leaves are used in small flower arrangements. In the kitchen the seed can be used mixed with mint in order to create a marinade for some dishes. The leaf is bitter tasting but in small doses is a nice addition to egg and fish dishes. The leaf can be infused and used as a treatment for tired eyes. Much like cucumbers, laying across the eyes, it can bring what seems to be instantaneous relief. The infused leaves make a very nice and relaxing tea. You will find that adding the leaves to compresses for wounds aids in the healing process. Used as a tonic, it adds needed iron and mineral salts. Fresh leaves are utilized in homeopathic tinctures to ease the effects of rheumatism and arthritis. 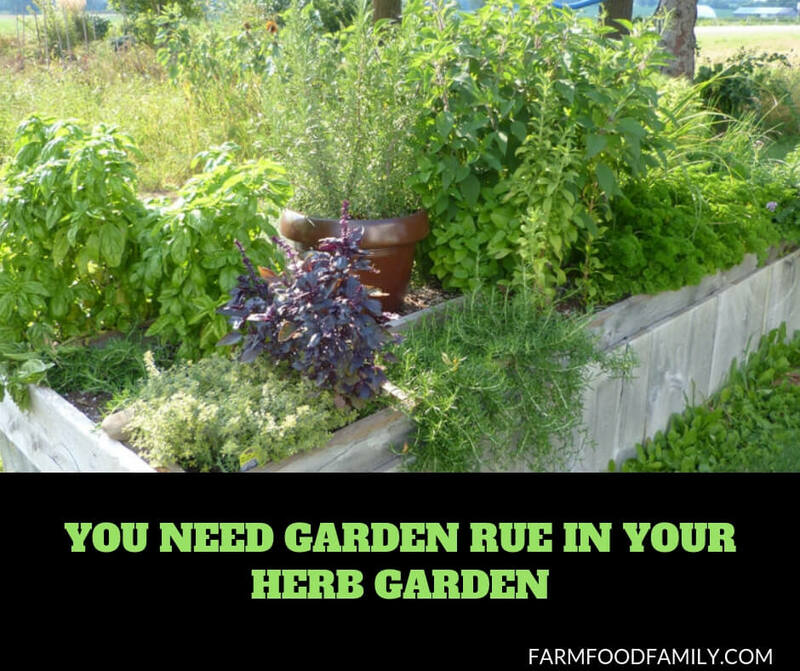 Garden rue has many uses, but you might find the medicinal properties so helpful, that you wonder how you ever got along without it in your garden. When it is available, dried ready for use by infusing and placing into a compress – you will enjoy the relief that it gives when applied to wounds and your tired eyes.